Stop smoking, quit smoking, stop the cigarettes or quit the cigarettes, whatever way you want to put it, it is now so easy with Stephen Chan hypnotherapist using hypnosis, hypnotherapy and cognitive training in either of my Belfast or Portadown clinics. QUESTION: What do you think has been the biggest conspiracy of the twentieth century? (a) How did Trump get in? (c) No WMD in Iraq? The biggest conspiracy, which is also responsible for 5 MILLION deaths worldwide each and every year (rising to 8 million by 2030), was by the medical professions (albeit unknowingly) was created by the US surgeon general when he said that ‘smoking was an addiction’. When he did this, he basically signed the death warrants of millions of smokers – this still goes on to this day. Here is the truth; around 19% of people smoke, and almost all of these smokers would like to stop. However, the main reason why most smokers don’t stop is simply because they ‘believe’ it will be too difficult because they believe that they are too addicted. This study came to the following startling and tragic conclusion; “The major reason given by users for their failure to quit is that they think they are addicted. Drug users are widely portrayed as victims of molecular processes beyond their control, devils in their brains. Addiction provides a “vocabulary of motive” which makes the failure to stop, not just acceptable, but expectable.” (Atrens, 2000) In other words, believing that you are addicted basically sets you up to fail! Every single day of their lives smokers are brainwashed into thinking that they addicted. That they have a nicotine dependency, that something has power and control over them, and that they are powerless. None of this actually true – and they know it, but they just can’t see it! A huge proportion of the ‘scientific’ research undertaken into nicotine addiction, is paid by the big drug companies (surprised?) – and yet we still call these people ‘scientists’. How many anti-smoking aids do you know of aren’t perpetuating the belief that smoking is based on a nicotine addiction? The irony is that the message ‘smoking is addictive’, which is meant to put people off from smoking – is actually binding and anchoring people even further into their powerless beliefs that they are addicted. In fact, if we take a look at some of the research conducted into ‘nicotine addiction’, we will see that it’s completely flawed. How come smokers tend to sleep soundly at night – without waking or needing a cigarette or nicotine during the night? Are they only addicted during the daytime? How come smokers manage to cross the Atlantic every day for 10+ hours, and not need a cigarette or nicotine? How come pregnant women generally stop smoking easily, without any side effects or cravings, just because they are motivated to stop? How come Hasidic Jews find it really easy not to smoke on the Sabbath? Think about it some more… If smoking was a nicotine addiction, then nicotine replacement therapy – like patches/gum/injections/inhalers would have a really high success rate, yes? No, they DO NOT! The very highest proven success rate for these techniques is 13% (nicotine gum) 19% (nicotine patches) and 19.7% to 25.6% for daily drugs like Zyban. By the way, you have done your own research into this – it’s the reason why you still wanted to smoke whilst you had your nicotine patch on!!! A little know statistic, and one that would really make stopping smoking seem a lot less daunting, is that around 95% of all smokers who have ever quit, did so WITHOUT any NRT or smoking aids whatsoever – so where was their addiction? Over 90% of the hundreds of smokers I have helped to quit smoking stopped easily after just one session using hypnosis, hypnotherapy and cognitive training. During your powerful 1 to 1 Stop Smoking Easily session we will be utilising a combination of common sense, applied psychology, positive thinking, visualisation and hypnosis/hypnotherapy to create your personalised two hour session, based on your personal and unique needs, making it as easy as possible for you to become a non-smoker. How exactly do I help 92.5% of smokers become non-smokers? As humans, we don’t do anything for nothing – this includes smoking cigarettes. As a smoker you have been brainwashed into thinking that smoking a cigarette gives you loads of amazing benefits, and this is what makes a cigarette so valuable to you. A cigarettes has literally become your answer to everything. However, if I asked you what it was that you think you get from a cigarette that makes it so worth dying for, you wouldn’t be able to tell you – you are completely unaware of the REAL reasons why you do it. During your 1 to 1 Stop Smoking Easily session I bring to your awareness what you really ‘think’ you get from a cigarette. Once realise what these things are, you will also realise that you have been ‘conned’ into thinking that a cigarette can give you so much, you will clearly see a cigarette has been nothing but a placebo to you. A placebo that once you see it for what it really is, will never, ever have the same grip on you as it once had. And this ‘awakening’ will make so much easier for you to not be so dependent on them and their lies. For example, just like the ‘magic’ of Christmas disappeared the moment you found out there was no Santa, and no matter how hard you may have tried it’s been impossible to think the same way of Christmas as you once did. Likewise, once you realise that a cigarette cannot possible give you all the ‘magical’ things think you get from it (albeit unknowingly), just like Christmas, it will be impossible for you to ever think of a cigarette in the same way again. It’s also easier for you to become a non-smoker once you are free from ridiculous and dis-empowering belief that you smoke because are a nicotine addict! This preposterous belief only creates a ‘I don’t have power and control over smoking it has power and control over me’ belief. And when you believe that you don’t have power and control over something it will automatically have an impact upon the amount of effort you will put into stopping it. Can you see why it’s so important for you to break free from the dis-empowering nicotine addiction belief delusion. Imagine now, how much more effort you will put into stopping when I show you the research papers that actually prove that your so-called “nicotine addiction” is not the reason why you ‘crave’ a cigarette. Due to what your GP, the smokers helpline, and what the people who are making money from nicotine replacement products are trying to sell you, oops! I meant tell you, you might be finding the nicotine addiction rubbish hard to let go of – but what about your own research? Remember when you tried nicotine patches, gum, etc. for your so called nicotine driven addiction. Your body was getting nicotine, but why did I still want to smoke? See, you will already know what I am saying makes sense! A fantastic sense of pride and satisfaction. A enormous boost to your willpower. A huge amount of confidence in your abilities. When you walk away from my clinic feeling that powerfully motivated, you’ll naturally find that resisting the charms of a cigarette so much easier to do, in fact you will find anything you want to do feels easier to do! 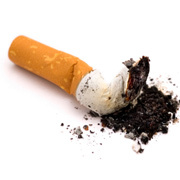 Stop Smoking Easily: ONLY £245 for your personal 1 to 1 session lasting approximately two hours. Tracie turns to hypnosis in a bid to beat the weed. Leader advertising manager Tracie McCann has tried almost everything to kick her 40 a day habit into touch. However up until last week Tracie was still locked in her addiction with no sign of a way out. That’s when she made the decision to put hypnotherapist Stephen Chan’s claim, that he can get smokers to stop smoking in just one hour, to the test. Stephen is an analytical and clinical hypnotherapist and has offices in Belfast and Portadown. He claims that over 95% of the hundreds of smokers he has helped quit gave up easily and permanently after just one session. And Tracie is now a firm believer in the power of hypnosis after a very positive session with Stephen. So far the treatment seems to be working with Tracie still off cigarettes. “Since my session with Stephen I haven’t thought about smoking which is amazing as before I constantly thought about having a cigarette.” She said. Are you are ready to become a non-smoker? It isn’t usually necessary for an initial consultation for just stopping smoking but I do offer a free confidential consultation for all other problems at my Portadown, Newry and Belfast Hypnotherapy clinics, which are within easy reach of Lisburn, Armagh, Antrim, Lurgan, Dungannon and Dundalk.